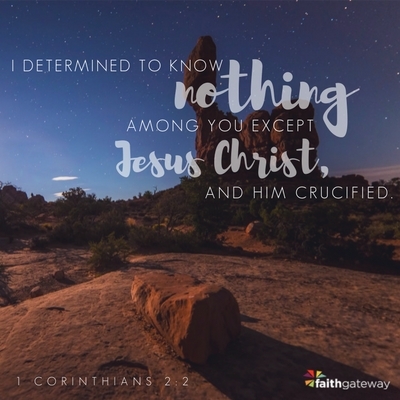 I determined to know nothing among you except Jesus Christ, and Him crucified. Today’s conventional wisdom might suggest that such a strategy is not sophisticated enough, not appealing enough, and not subtle enough to succeed in a thoroughly pagan society. But Paul’s life and legacy prove otherwise. In fact, before he first arrived in Corinth, the apostle and his cohorts had earned a reputation as “men who have upset [literally, “upended”] the world” (Acts 17:6). That statement proves that Paul’s (and his companions’) gospel preaching was effective. But it wasn’t meant as a compliment. That is what the Jewish leaders in Thessalonica said about Paul — just before they incited a riot. The fact that the church grew quickly and reached to the outer edges of the Roman Empire (and beyond) certainly does not mean the apostles found a way to make their message popular. The gospel was no more popular in the first century than it is today. The majority of people rejected and opposed the message — often violently. The opposition Paul faced in Thessalonica was by no means unusual or unexpected. Before he ever arrived in Thessalonica, Paul had already met fierce resistance in Antioch, Iconium, and Lystra (2 Timothy 3:11). In fact, he had been stoned and left for dead in Lystra (Acts 14:9). In Philippi, he was attacked by a mob, beaten with rods, and thrown in jail (Acts 16:22-23). While the church grew, hostility from the wider community kept pace. Some four years after Paul was run out of Thessalonica, Ephesus would respond even more angrily to the gospel (Acts 19:29). What’s significant about all this is that in the face of such opposition, Paul made no effort whatsoever to adapt his methodology in a way that might mollify his critics or avoid the reproach. He was fully aware of what people’s “felt needs” were: “Jews ask for signs and Greeks search for wisdom” (1 Corinthians 1:23). But he did not adapt his strategy accordingly: “We preach Christ crucified, to Jews a stumbling block and to Gentiles foolishness” (v. 24). Whenever he came into a new region, he would immediately seek out the local synagogue, go there on the Sabbath, and preach Christ to the gathered assembly. That simple message — the gospel, proclaimed boldly and without apology — is what triggered all the antagonism against Paul in Thessalonica. If Paul had been thinking like the typical 21st-century churchgoer, he might have put the gospel on a back burner and tried find a way to win the respect and admiration of influential citizens before proclaiming the gospel in a culture where most people clearly thought the message was both foolish and deeply offensive. But Paul didn’t do that. He went directly from Thessalonica to Berea and preached in the synagogue there (Acts 17:10). When some hooligans followed him from Thessalonica and tried to provoke the citizens of Berea to riot, Paul moved on to Athens (Acts 17:15), where yet again he took the gospel to the synagogue on the Sabbath. He also proclaimed the gospel in the Athenian marketplace during the week (Acts 17:17), stirring both interest and controversy there, too. Acts 17 goes on to recount how Paul was summoned to speak to the elite minds of Athens at the Areopagus — the gathering place of philosophers and intellectuals. It was not because he had won their respect, but practically the opposite: The philosophers thought he would make an amusing diversion — perhaps an easy target for some highbrow scorn. “What would this idle babbler wish to say?” (Acts 17:18). The apostle was himself an educated man, well versed in the philosophies and ancient writings of the Athenians. He was able to quote classic Greek poets to demonstrate that Greek beliefs were once closer to biblical truth than any of the philosophies commonly embraced by the elite minds of that first-century generation. He was about to expound the gospel more fully to these Athenian intellectuals who were among the world’s brightest minds, but as soon as he mentioned the resurrection from the dead, the response was so much mockery, controversy, and crosstalk that the meeting broke up before Paul had an opportunity to finish his message to the Areopagites. Again, the typical evangelical missional strategist today would no doubt wish to modify Paul’s approach. Surely such a response — by now a predictable pattern in Paul’s ministry — requires a revamping of the whole strategy. Right? Wrong. Paul went straight from Athens to Corinth, where his strategy remained unchanged. 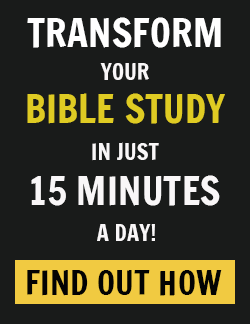 What kind of arguments did Paul use in Corinth? After such opposition in Thessalonica, Berea, and Athens, did he change his approach to suit Corinthian culture better? Paul stayed on message. Despite intense opposition (up to and including the real potential of violent resistance), he never downplayed or deviated from the gospel. May we have the same single-mindedness and courage. Prayer: Heavenly Father, strengthen our faith and open our mouths to speak the gospel boldly to our families, friends, neighbors, and co-workers. And may our lives reflect the truth we proclaim. Give us grace and fill our hearts with compassion as you conform us to the image of your Son, the Lord Jesus. 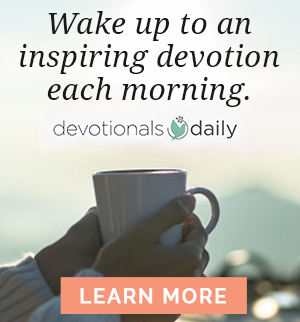 Original post by John MacArthur featuring his new book The Gospel According to Paul, copyright John MacArthur.